Solange debuted her new music video Sandcastle Disco. We like the song and there are some creative special effects in the music video. We just wonder why the stylist had Solange looking like Big Bird from Sesame Street in the feather outfit. Solange's new album "SoL-Angel & The Hadley Street Dreams" drops this fall. HAPPY BIRTHDAY SOLANGE. BEYONCE'S YOUNGER SIS CELEBRATED HER 22ND BIRTHDAY. 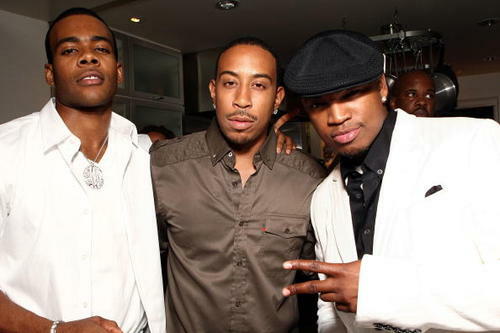 BEYONCE, TINA KNOWLES, LINDSAY LOHAN, NE-YO, LUDACRIS, JOURNEE SMOLLETT, MARIO AND SAMANTHA RONSON WERE SOME OF THE GUESTS WHO ATTENDED THE PARTY. Beyonce's younger sister Solange Knowles is trying a little too hard with this "peeping tom stalker joke" to explain how she broke her toe. Maybe the broken toe story is a distraction so people won't say she looks like a "Beyonce Drag Queen" and criticize her singing. We hope Solange's broken toe heals and she gets better. Solange Knowles released some new promo pics for her upcoming album "Solange and the Hadley Street Dream". Solange is the younger sister of R&B superstar Beyonce Knowles. We saw the promo pics and were wondering about the exaggerated hair and makeup choices for Solange because she looks like a "Beyonce drag queen". 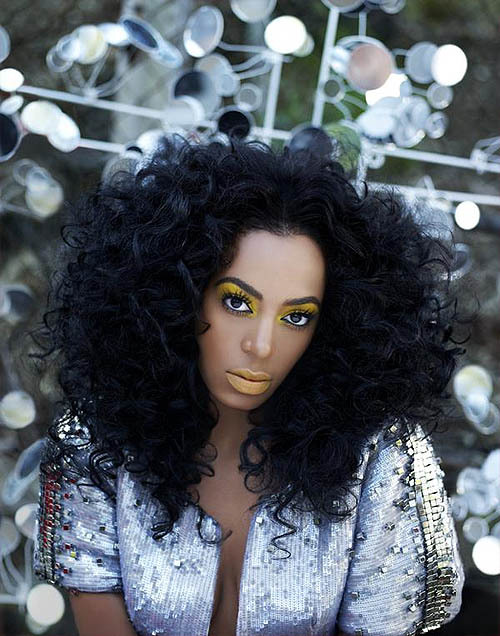 Beyonce's younger sister Solange released her new music video for the song "I Decided". The music video doesn't help her image with the big hair and feathered eyelashes. 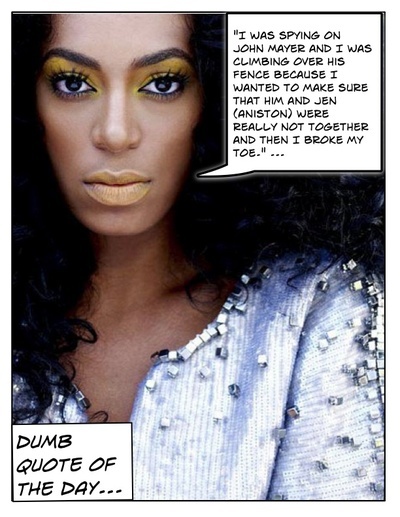 Unfortunately, Solange will always be compared to her beautiful sister Beyonce. We're not really feeling her first single "I Decided " but we do like her latest leaked disco remix of the song called "Sandcastle". Listen to the disco version of song Sandcastle. 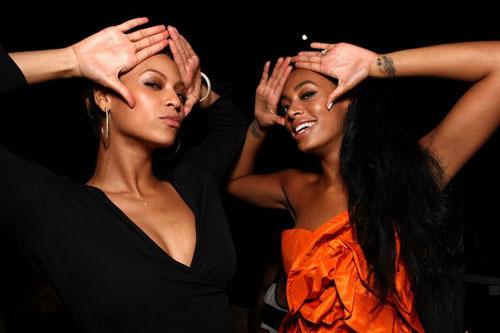 We think Solange is a pretty young woman who is always going to be compared to her beautiful megastar sister. 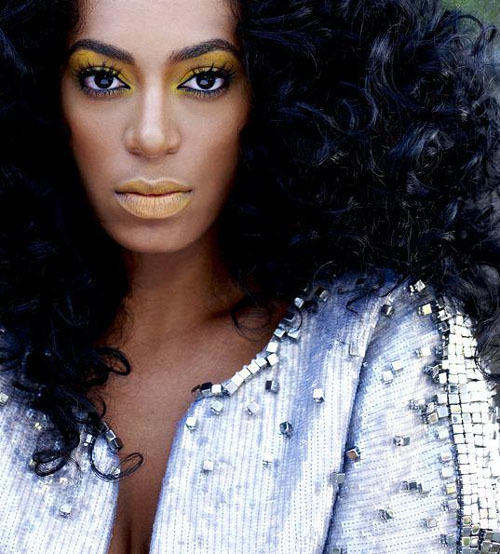 Solange should use Beyonce's hair and makeup team to fix her look. Solange looked gorgeous on the red carpet at the Grammys with more subtle hair and make up that complemented her complexion.